The next laptop you buy with a USB-C port could be even more useful than you thought. 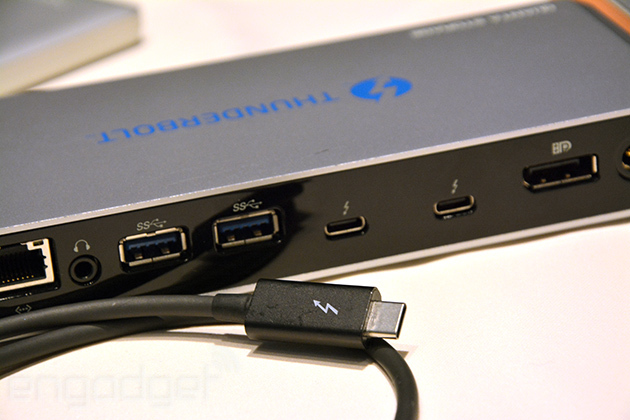 Intel today unveiled Thunderbolt 3, which uses an identical port design as its USB brethren. So if Apple sticks with its new MacBook design, for instance, it's possible you won't need an adapter to hook up external hardware via Thunderbolt. It's a step towards simplifying the often messy sea of ports found on laptops and PCs, and should make the standard accessible to a larger group of people than before. 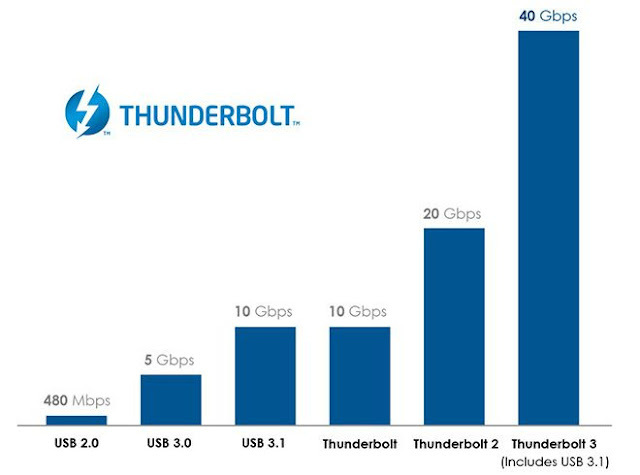 Thunderbolt 3 offers more than just port convenience, however. It'll also deliver a 40Gbps connection over Thunderbolt, which is double the speed of Thunderbolt 2, 10 Gbps USB 3.1 and DisplayPort 1.2. It's not the first time that Thunderbolt has piggy-backed on another port design -- the original incarnation used Mini DisplayPort. With its nipper data speeds, the new Thunderbolt 3 will support dual 4K 60 Hz displays, in addition to blazingly fast file transfers. Of course, you'll also be able to use it for regular USB work, which should come in handy when connecting older accessories. It won't be long before the new standard comes into effect either -- Intel says the first Thunderbolt 3 products should ship later this year. Current Thunderbolt and Thunderbolt 2 peripherals and cables will be made compatible with Thunderbolt 3 through the use of an adapter. Intel expects the first Thunderbolt 3 products to start shipping by the end of the year and to hit their stride in 2016. With Intel now actively supporting rather than competing with USB Type-C, the nascent connector standard looks set for a bright future. Today's news is a big vote of confidence for the promise of USB-C being the one port to unite them all, even if it does add a measure of fragmentation and confusion for the end user.